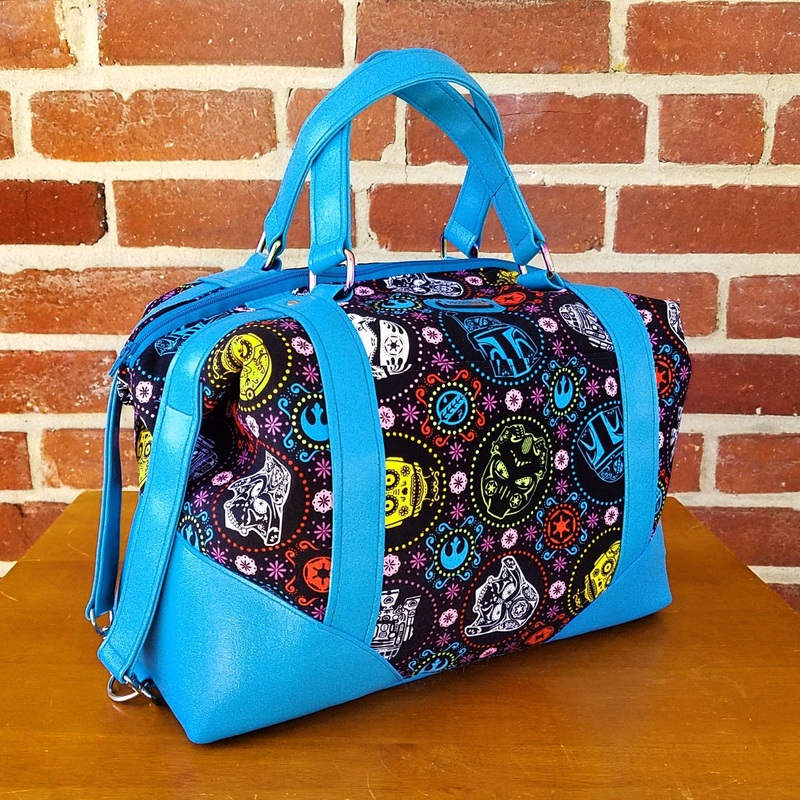 Today’s Mos Eisley Marketplace find is this Star Wars Sugar Skull Print handbag made by Etsy seller BenaeQuee Creations. 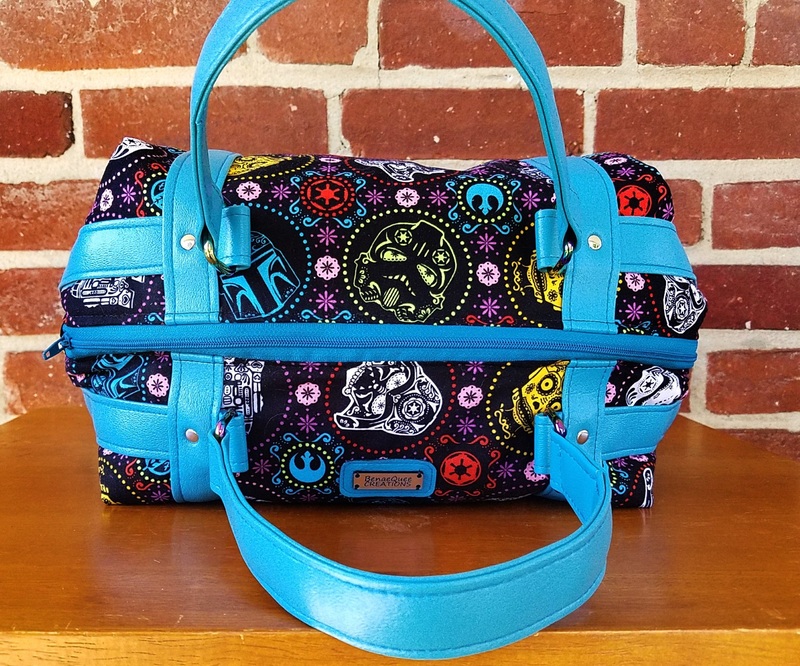 The colourful handbag features printed Star Wars fabric with a repeating ‘sugar skull’ style print, and accented with teal vinyl. BenaeQuee always uses great colour combinations in her design – a fabulous addition to any wardrobe! 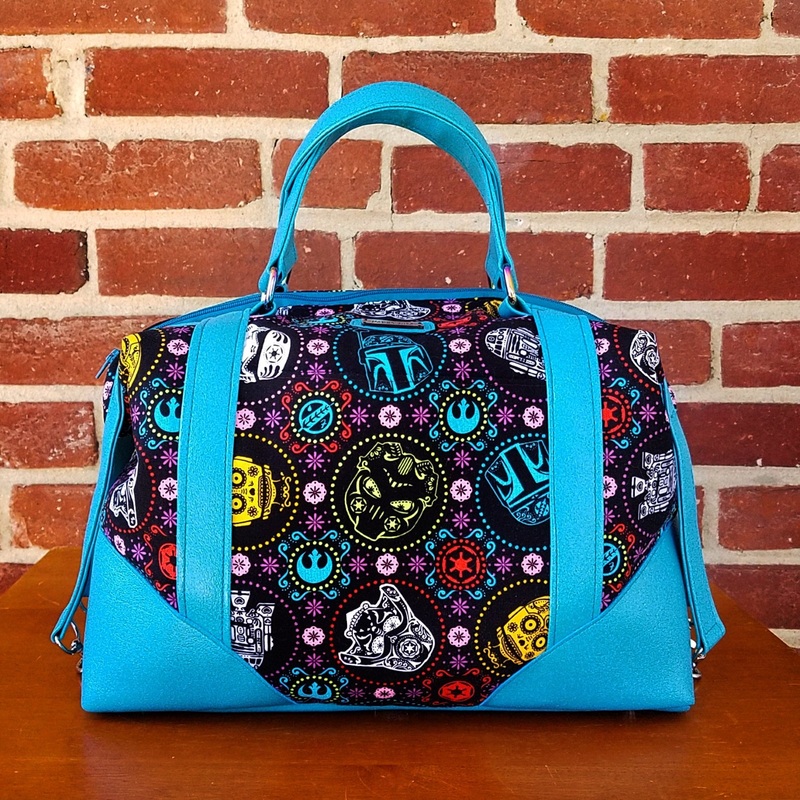 A fun handbag featuring some of your favorite Star Wars characters done up in sugar skull motif. 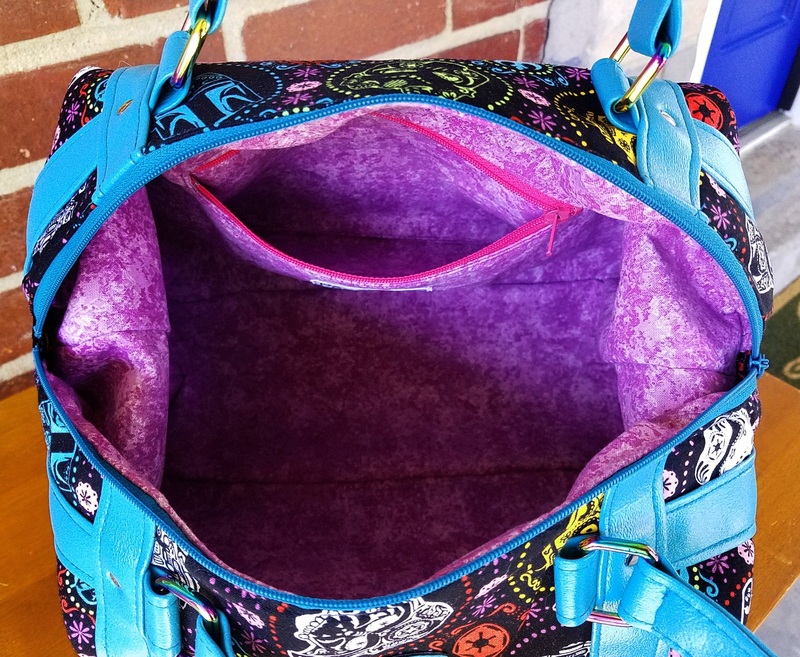 Inside features a zippered pocket. 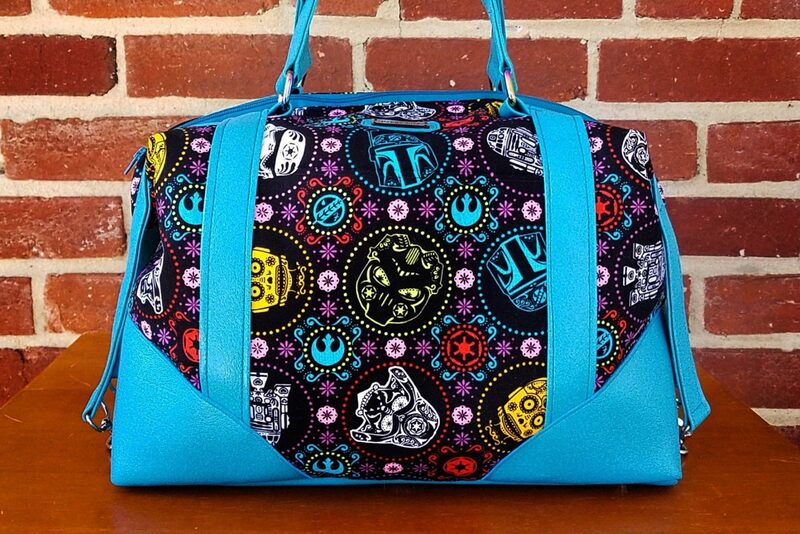 There are also purse feet on the bottom, and rainbow colored hardware for the handle rings. 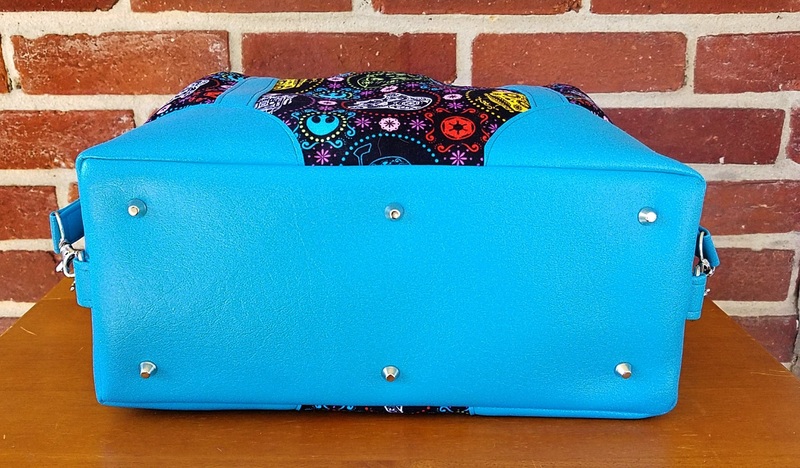 Bag measures 13″ x 10″ x 6″. 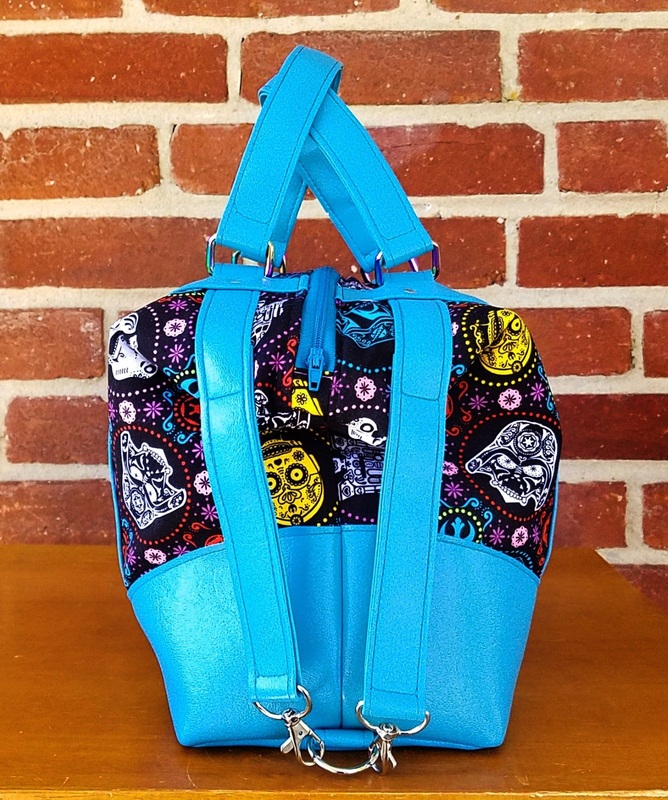 The bag is priced at US$150.00.00 each – BenaeQuee Creations can ship to the US, Canada, and the UK. 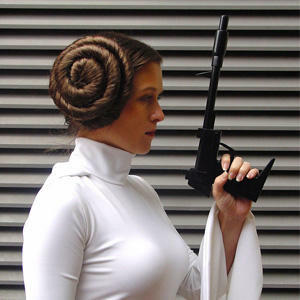 To read more about BenaeQuee Creations, check out our interview here. Photos sourced from and belong to BenaeQuee Creations/Etsy.